ALERT: Exit 20 on I-40 W near Maggie Valley is OPEN. Be advised that I-40 W after Exit 20 is one lane due to a rock slide. Visit the NCDOT website for the latest information. 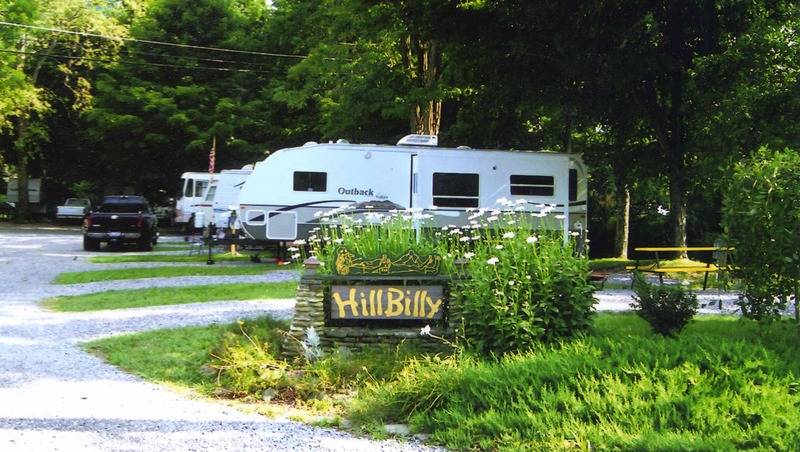 Quiet, clean, owner operated campground located in Downtown Maggie offering cool shady sites on the creek. From assisting you into your site to check-out, we hope to make your stay most enjoyable. Daily, Weekly, Monthly and Seasonal sites. Full bathhouses, laundry room, a country store, gift shop and on site owners. Quiet, Behaved dogs welcomed with nice dog walks available. All sites have water, sewer, electric (30AMP) and premium cable TV. Clean, Quiet Campground with quite hours 10PM – 8AM. Check-in is between noon and 6PM. Sorry we cannot accommodate big rigs or tents.